When people think of England they think of London and they think of rain. However, there’s a city not too far with the capital that boasts the lowest rainfall in the country and it’s a good spot to visit for more reasons that just the (slightly) better weather, too. If you’re interested in finding some top quality entertainment then you should check out SlotsBaby. Sat on the south-east coast of the UK is Brighton or Brighton and Hove, and this rather small seaside city has been a popular holiday destination for centuries. The modern Brighton, though, offers far more than just fish and chips, yet it’s still fairly undiscovered by many international tourists in comparison to it’s illustrious nearby neighbour, London. Here are four reasons to visit this city in Sussex in by the sea. Such a statement is bound to cause some debate amongst many Brits, as there are some beautiful beaches in the country. Whilst Cornwall, Devon, and even Swansea in Wales boasts some stunning stretches of sand, Brighton offers a man-made stony beach with an abundance of attractions and differing vibes along the whole way. Whether it’s old fashioned architecture closer to the fallen, burned but still standing ‘old pier’, or the energetic nature of shops and clubs nearer the Palace Pier, the beach has it all. It stretches on and on and you’ll find what you’re looking for whether that’s a great ice-cream or a nudist beach. As mentioned, Brighton is a rather small place. Bottom heavy in terms of the main vibcracy of the place being found nearer the sea, in comparison to London, the city is tiny. However, when it comes to pubs and bars, the town is unrivalled. Over 900 bars and pubs sit in Brighton, with them ranging in demographics, drinks menus and overall appearance. You’ll find a bar for whatever you’re into be it cocktails, veganism, jazz or soft drinks. With so many quirky bars, the choice is overwhelming but in truth, the friendly nature of the city means that you can’t miss. See how many you count when in Brighton… it could get hard if you plan to have a drink in each of them, too. Remember to check out the casino bonus spins available at slots baby. 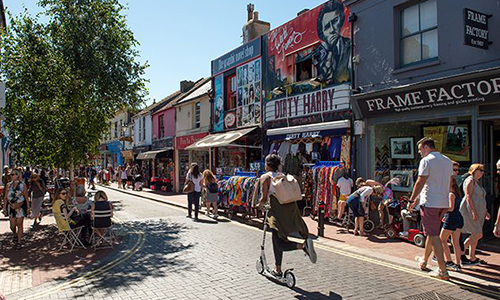 With a huge student population but also nearby towns regarded as popular places for the elderly to visit, as well as many families calling the city home, Brighton has something for all. Be you vegan, gay, a fitness fanatic, a music lover, a thrift shopper, or just someone looking to watch all of this go by, you will find yourself occupied in Brighton. Going back to the many bars, this is true of restaurants, too, with menus tailored to diets and tastes. The city has a reputation for liberalism and this is why everyone is welcome and catered for. With it’s liberal reputation comes an abundance of young professionals and, for lack of a better term, ‘hipsters’. And what else does a hipster want other than artisan coffee made with oat milk? 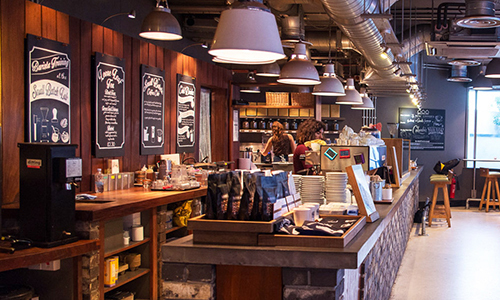 The array of creatives in the city has lead to a huge scene of freelancers who work from the many coffee shops across the town. The result is an incredibly high standard of coffee that you’ll struggle to beat anywhere else in England.